The crazy/moody/spooky kids of Archie Comics are coming to New York Comic-Con, and they’re bringing some crazy cool exclusives. From a preview for an upcoming landmark issue to some fun variant covers to some neat-o buttons, Archie are pulling out all the stops. Check out the details below, including a sneak preview of Archie #700 and a complete list of panels and signing schedules. New York, NY (September 24, 2018) - Archie Comics, the acclaimed and bestselling home to iconic characters known across the world, unveiled their plans for New York City’s premiere pop-culture event, New York Comic Con 2018. Archie Comics characters are riding a wave in Hollywood with the third season of The CW's smash-hit Riverdale premiering October 10th and the highly anticipated October 26th launch of Netflix's Chilling Adventures of Sabrina starring Kiernan Shipka. 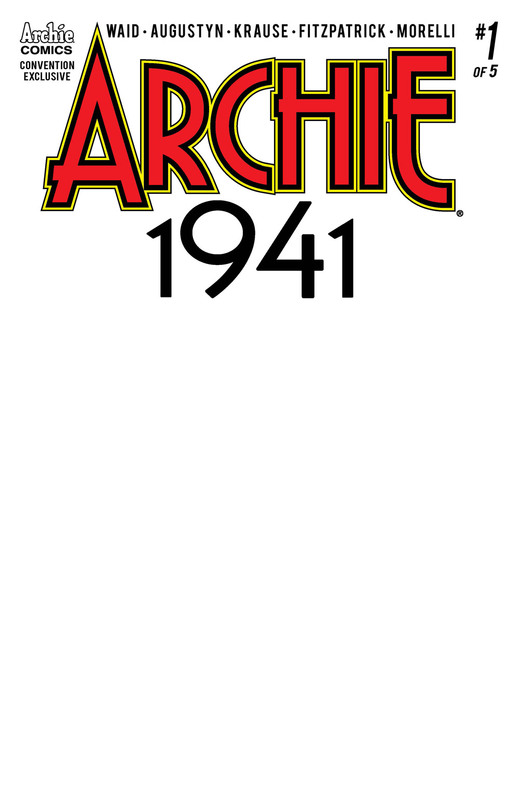 Archie Comics publishing continues its critically acclaimed evolution with November's ARCHIE #700, a return to legacy numbering for the flagship series and the arrival of the new creative team of superstar writer Nick Spencer (Amazing Spider-Man) and artist Marguerite Sauvage (Faith, Bombshells). New York City will become Archie Comics HQ during NYCC weekend, with members of the Chilling Adventures of Sabrina cast appearing at the "Netflix and Chills" panel on Friday evening, a jam-packed Archie Comics Panel with fan-favorite writers and artists on Saturday morning, and a Riverdale Q&A Panel on Sunday morning featuring KJ Apa, Lili Reinhart, Madchen Amick and Luke Perry. These buzz-worthy events pair nicely with a comprehensive creator signing schedule and convention-exclusive comics and merchandise at the Archie Comics Booth #2328 to create the ultimate Archie Comics fan experience at this year’s show. 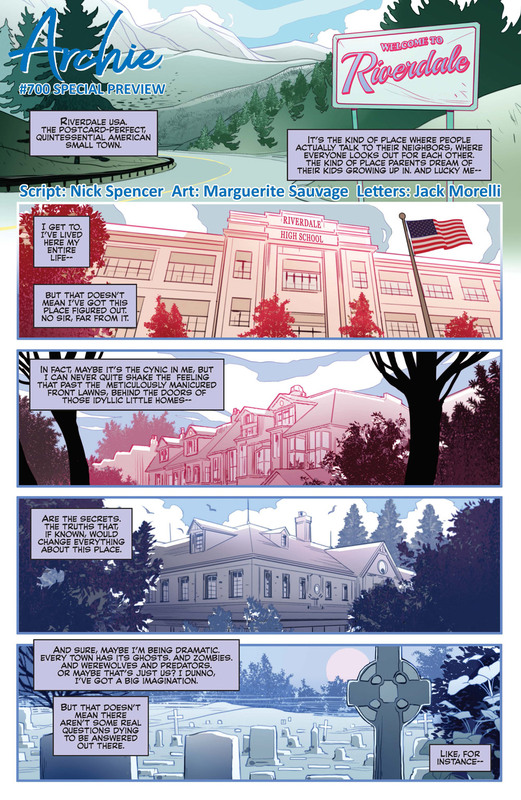 Panelists: Jon Goldwater (Publisher/CEO, Riverdale EP), Victor Gorelick (Co-President/Editor-in-Chief), Mike Pellerito (Co-President), Alex Segura (Co-President), Nick Spencer (Writer- ARCHIE), Jamie L. Rotante (Writer - BETTY & VERONICA), Frank Tieri (Writer - JUGHEAD: THE HUNGER), Dan Parent (Artist - ARCHIE MEETS BATMAN '66), and Micol Oslow (Writer - RIVERDALE: THE DAY BEFORE prequel novel). Plus, get a look ahead at Riverdale Season 3 and Netflix's Chilling Adventure of Sabrina series! 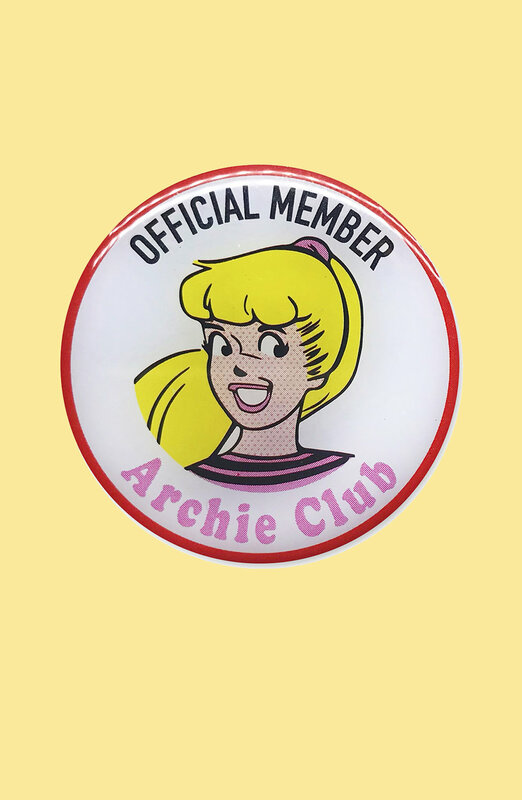 Dress and accessorize like Riverdale's favorite BFFs with select items from the Betty & Veronica fashion line, available at the Archie Comics Booth #2328 while supplies last!